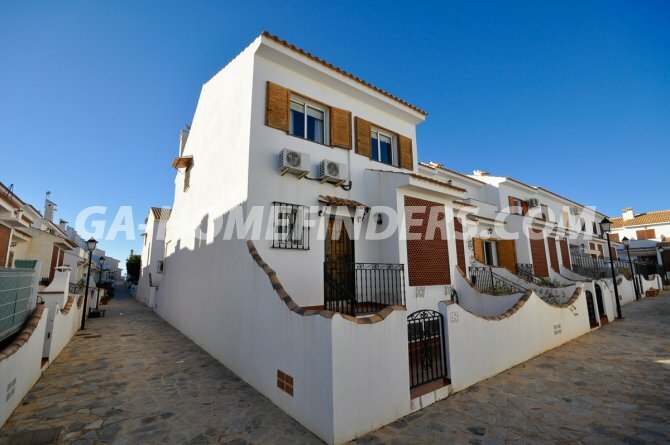 Corner town house in urbanisation Don Pueblo III, 3 bedrooms and 3 bathrooms, wood shutters on windows, big lounge on the ground floor, big independent kitchen with white cupboards, door from the kitchen to back garden, utility room next to the kitchen, huge basement to be used as lounge/bedroom/entertainment space. 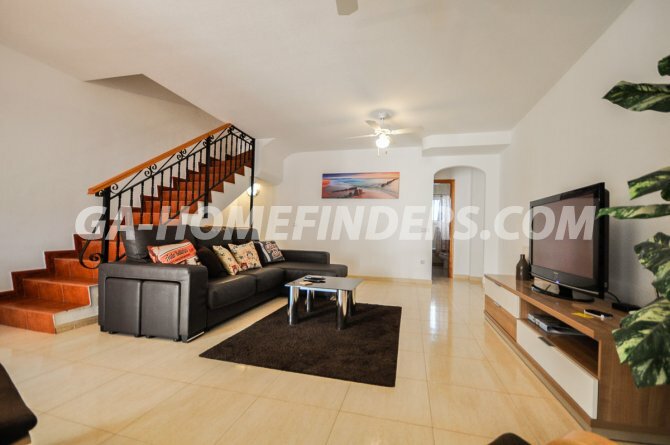 In a quiet well kept urbanisation, close to the community pool and services like shops, bars and restaurants. 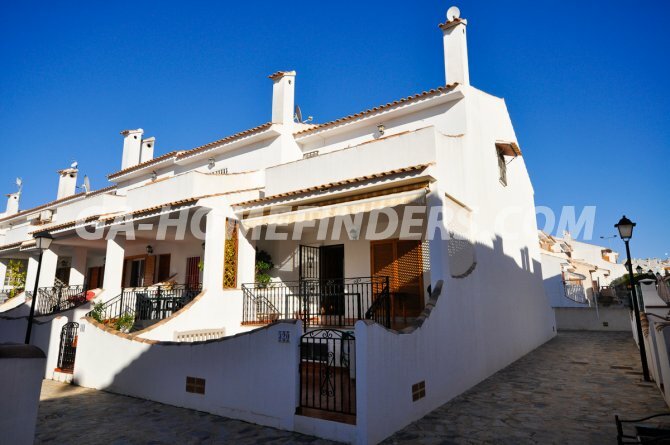 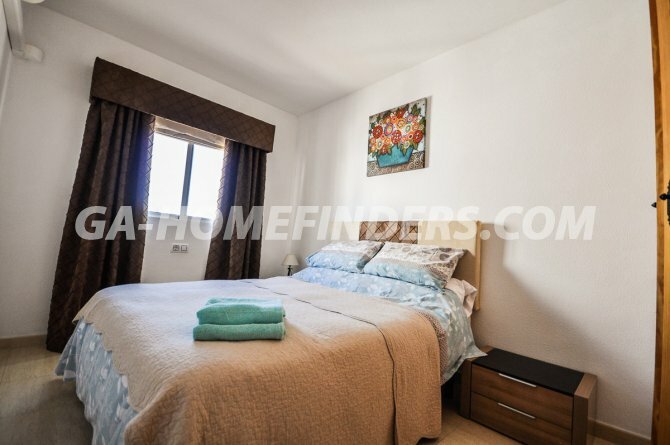 Situated in the upper part of Gran Alacant. 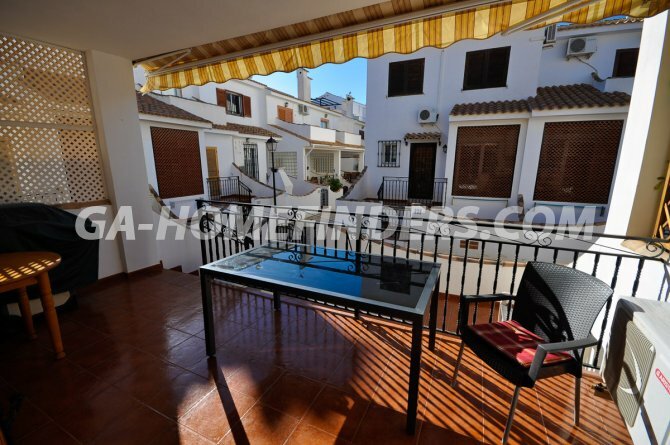 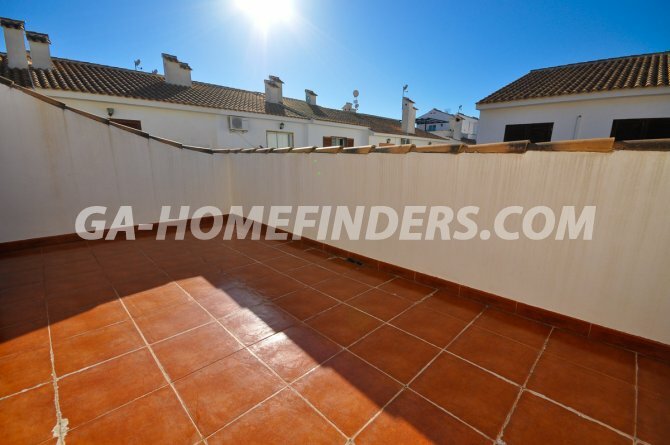 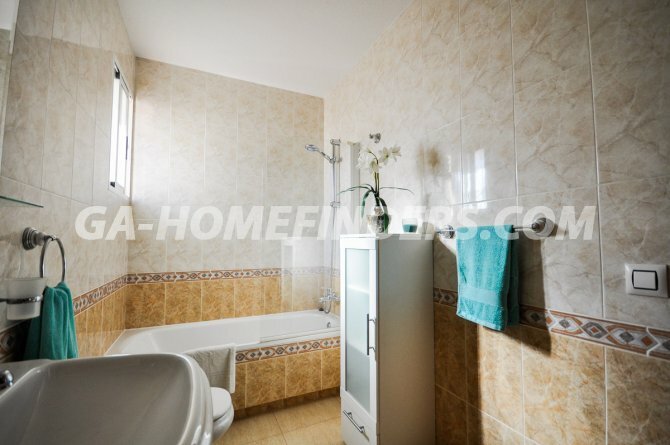 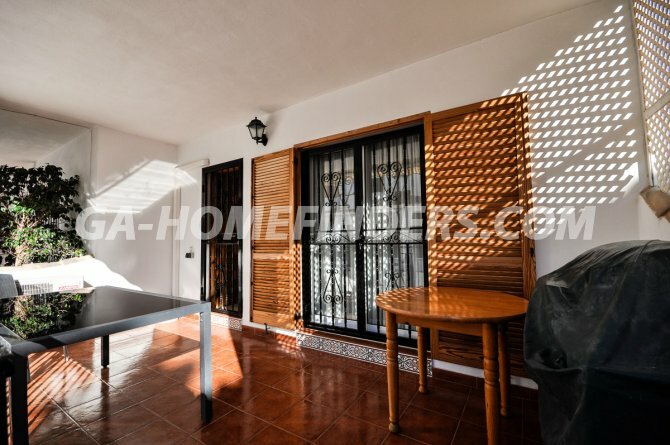 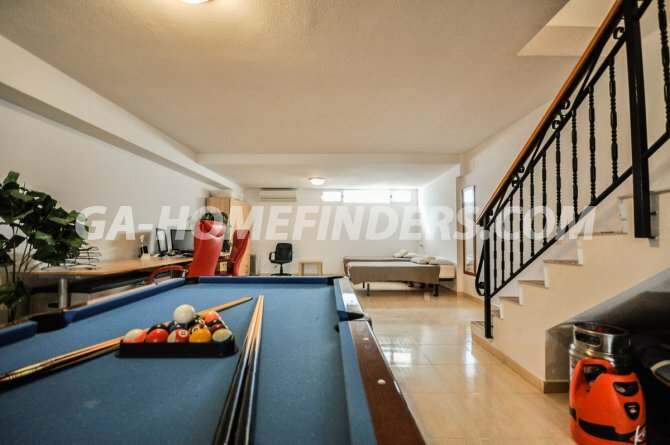 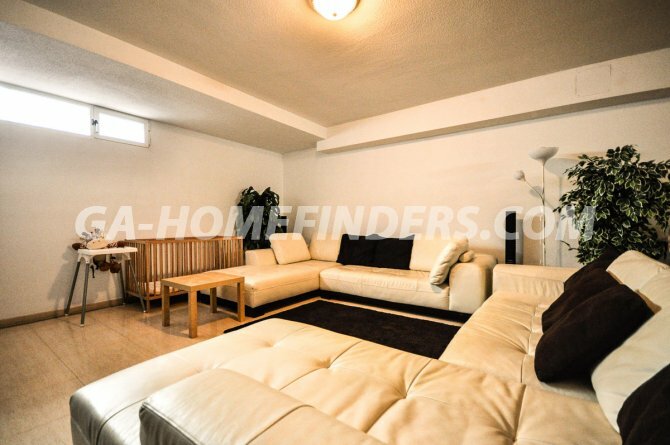 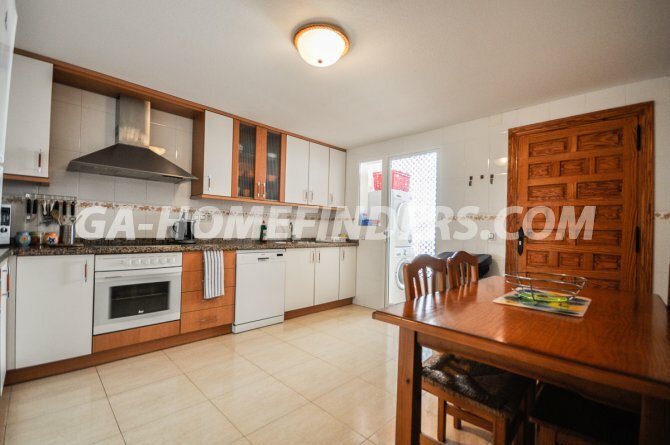 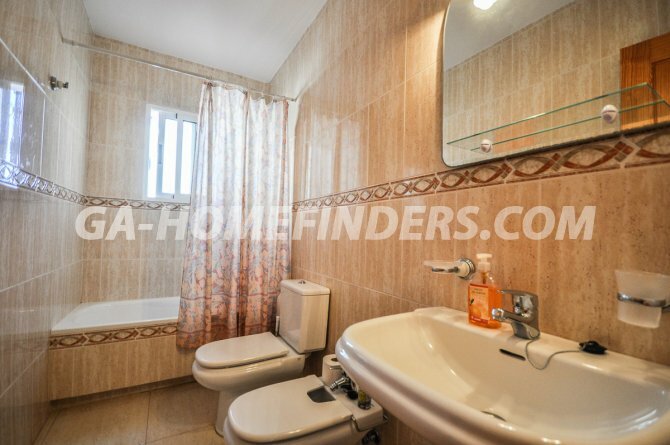 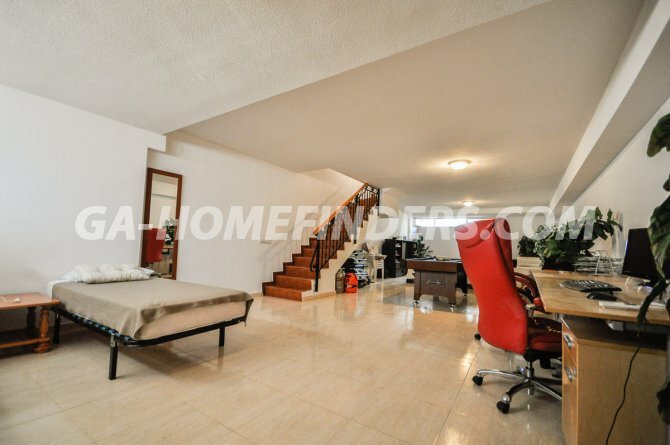 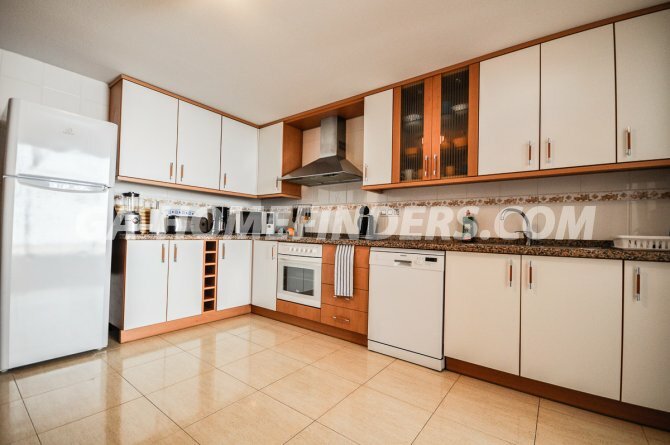 Close to the international airport in Alicante/Elche. 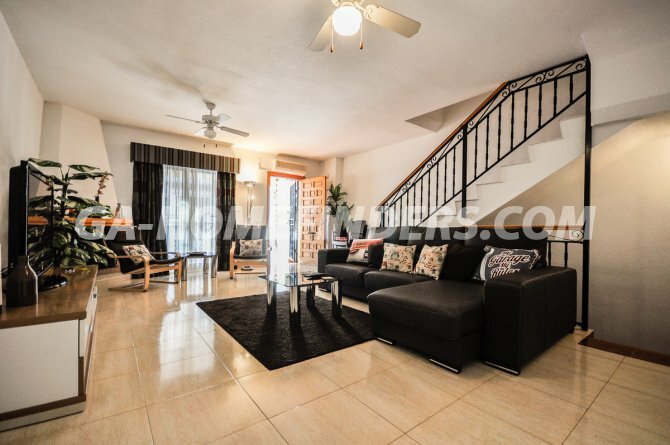 In a quiet well kept urbanisation, close to the community pool and services like shops, bars and restaurants.